Tolerance for spiciness aside, there are few people who can lay claim to genuinely disliking Indian cuisine. 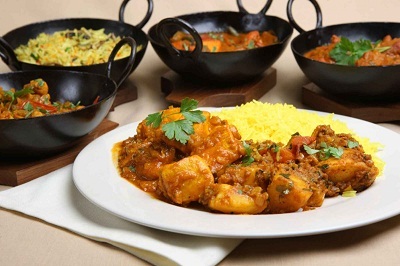 What there are few of, however, are top Indian restaurants Cairo – in fact, there are few Indian restaurants in Cairo, period, when compared to other cuisines of the East. This has made the Indian cuisine category Cairo 360 Editor’s Choice Awards all the trickier. There’s a satisfaction in defying the limits of what the human body can take that doesn’t exist in many other cuisines; but in this exclusive list, these are the restaurants which tick that particular box, all the while maintaining quality and, in a couple of instances, a certain refinement. The Ramses Hilton isn’t exactly the most glamorous hotel in Cairo, but their shining light is Maharaja; a seemingly simple restaurant that actually serves up some of the most authentic Indian dishes you’ll find in the city, along with great service and a dining experience to savour. Along with Nawab, Maharani stands as one of the only two Indian restaurants in Cairo and is somewhat overshadowed – both by Nawab and its neighbouring restaurants and cafes aboard La Pacha 1901. Good food in a brilliantly kitschy and over-the-top setting by the Nile. Tucked away in the lobby of Heliopolis’ Karvin Hotel, suspending your disbelief and squinting your eyes slightly will trick your brain into thinking you’re in New Delhi. With larger portions than most and very reasonable prices, the kitchen still delivers top-notch food. By no means high-end or sophisticated, Nawab’s reasonable prices and excellent food has made it into one of the most accessible Indian restaurants in Cairo and one of the most popular restaurants in Zamalek, full stop. Whether eating in or ordering out, there’s plenty to sample across a great menu. With around eighteen different restaurants, cafes and bars, Fairmont Heliopolis & Towers isn’t short on dining options. However, Raj stands as one of the best offering a polished and authentic version of Indian cuisine, inspired by regional variations of familiar dishes. For a full rundown of the Cairo 360 Editor’s Choice Award Winners, click here.